Throughout this time, the amount of detail we have received has been remarkable. Yet what is more impressive in my view is the numerous levels of congruency we have seen to the original testimonies of Corey Goode. 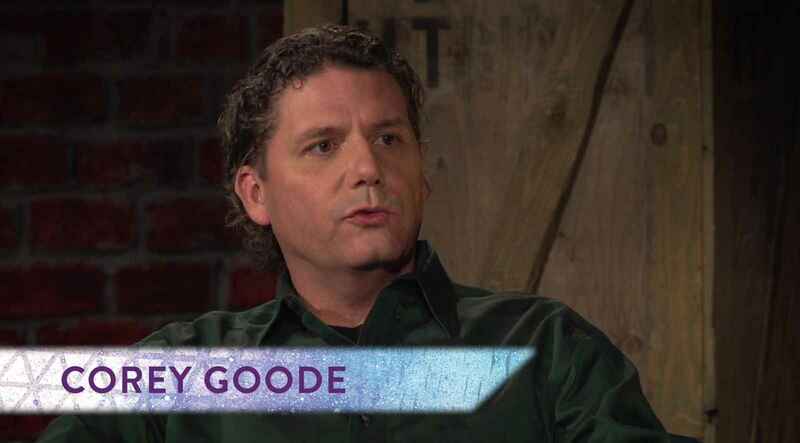 However, Goode's testimony is not simply limited to just one person, but to numerous independent sources and whistleblowers—each having braved countless obstacles simply to make themselves heard. To add to the collection of corroboration, we have the Law of One. This has been a favorite subject of mine since the first time the text was read on the show. People can character attack a whistleblower all they want to, yet it is rare that any troll or attacker will ever reference the proof that supports the words of their intended target. Among the supportive aspects of material within the Cosmic Disclosure series, there can be few that are more detailed and complex than the Law of One. David Wilcock: All right, welcome back to “Cosmic Disclosure”. I'm your host, David Wilcock, and I'm here with Corey Goode. 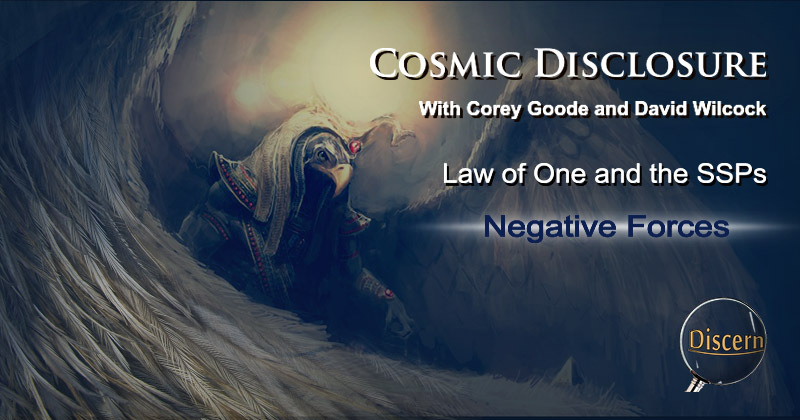 And in this episode, we are continuing our stunning investigation, by popular demand, into the amazing correlations between what is in The Law of One material and Corey's own direct experience with the Secret Space Program. There's a lot of things in here that many people might not catch. I've been a Law of One scholar since 1996, and so I've ferreted out some very interesting stuff that, even if you've read The Law of One, you might have skipped. David: Okay, so Corey, when we last taped the show, you hadn't seen The Law of One at all. Has that changed since then? And there's a lot to retain, so I'm going to need to read it a few more times, obviously. David: Yeah. When I first got into it, I would spend 45 minutes without turning the page, just intensely concentrating. The verbiage is very difficult. And what I'm going to do for you guys is make sure that I try to interpolate this as much as possible. But we are picking up where we left off in a previous episode, so let's just dive right back in. So can you name names? This is a question that's being asked. 11.19 Questioner: Can you name any of the recipients of the crusaders' – that is, any names that may be known on the planet today? And you know Ra is really touchy about that, because of free will. Unless somebody is dead, they can't. And even then, they're really worried about free will. Ra:... I am desirous of being in nonviolation of the free will distortion. David: So clearly, again, they don't want to say what's really going on here. They don't want to get too far over the edge. David: It's very clear that that's what they're kind of alluding to, but they don't really say. And they do actually mention people running the financial system at some point in here. David: So there you have it right there. The distortion towards power just means people who have created financial power, worldly power. And these are the people that have had contact with what they're calling the Crusaders of the Orion, which is the Draco. David: So have you noticed, Corey, in dealing with these beings yourself, that there are things that you'd like to ask that they balk on, they don't want to just give you the answer to every question that you ask them, like the Blue Avians? Corey: But the response is always, they've got to be careful of violating free will. And also, if they've given me information and I shared it in an unloving way, or not the right way, with another person, I've been talked to about violating the free will of others. David: Well, you also, in one of our update episodes, described a situation where you injured your knee falling down a ramp coming out of the SSP craft, and that they didn't actually heal you. But for a large amount of time, they don't really want to interfere. We have to do this ourselves. David: Ah! Right. So there's a lot of correlations here. David: The real thing is about opening the heart, being more loving, more service-to-others oriented, as you've said so many times yourself. Ra:... There are two main ways, just as there are two main ways of, shall we say, polarizing towards service to others. David: Now, Corey, as you read this, the idea of “doing exercises and performing disciplines to seek contact” - what does that remind you of, or what are you thinking would be happening that would relate to that? David: Are some of these people actually practicing meditation and trying to do – even if they're very negative – they're doing a meditation practice? It is interesting to hear the proposal that the negative ETs actually teach humans on the negative path who are willing to learn. According to the text, the people must be of negative, conquest-oriented focus in order to successfully attract these negative ETs, and as we have heard, this type of personality typically exists in groups like the global Cabal. We have heard testimonies from numerous sources about the secret practices of the Illuminati group. These people have a strict discipline which they believe advances them to enlightenment. To some degree, I would think that it did, but considering all of the work they are required to do combined with the minuscule results they get, the method does not seem to be very effective. Svali - Interview with Svali: Escaped Member of "The Family"
The group known as the Illuminati consists of a hierarchy with senior members at the top and people who are basically slaves and servants at the bottom. According to various sources, the task of the lower and mid-level member is grueling and gruesome. These people are required to undergo torture, participate in sacrifices and endure excessively harsh treatment in order to achieve higher rankings within the group. The member of this order actually believe that the demented acts committed in these groups actually gives them strength and opens the door for these negative beings to come through for various reason. As I understand it, these acts attract negative attention as negative beings feed on suffering and death. Consequently, the acts can serve as an invitation to ETs that are equally as demented as those within the Illuminati. Of course, they want to have the person commit this type of crime to be able to use it over them. But also, they use it to affect the person's energy and psyche, to start to manipulate their psyche. David: Well, now, you've spoken before about this very bizarre situation that took place between Jack Parsons, allegedly one of the founders – well, not allegedly, we know he's one of the founders of NASA – and L. Ron Hubbard, where they did this thing called Babalon Working. And they were trying to summon, inside a magic circle, some kind of spiritual creature. Corey: Yes. And there have been reports that I've heard of, out in the middle of nowhere – let's use where we are now as an example, in the Boulder [Colorado] area – off in the mountains away from all prying eyes, these groups will get together, form a circle, and do some sort of a ceremony. David: Now, you mentioned before that there were actual damages in the Earth's protective field caused by that ceremony that Hubbard and Parsons had done. David: So as the Earth rotates and they're doing this Babalon Working at a particular latitude line, is there some type of tear that they cause in the Earth's energy field that rotates as they continue doing it? Corey: Right. It's just like if you took a globe, spun it, and then took a Sharpie and touched it to the globe as it was spinning. It's going to leave a streak. 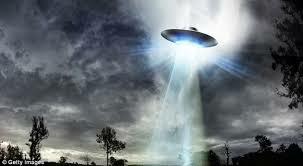 Upon hearing the Law of One's specifics on how negative ETs could be contacted, I became concerned. The method described in the text sound similar to the CE-5 contact method developed by Dr. Steven Greer. This method also involves going out into deserted areas (sometimes at the locations of ley lines), forming an inward-facing circle and meditating. This act alone may not be dangerous by itself. However, if certain measures are taken and certain participants favor the negative path, the consequences might be less than pleasant. This is not to accuse Dr. Geer of any wrong-doing, but rather to make note of the potential risk of using his practices in the wrong locations or for questionable reasons. Combined with the assumption that everyone in space is our friend, this method could lead to deception of magnificent proportions. If I were to start out any experience with the assumption that everyone around me is friendly, there is a chance that I could be right and there could be no adverse consequence. However, if I am wrong, the consequences could be devastating. This is similar to blindfolding ourselves, plugging our ears and walking across the freeway. We would be right to say that there might not be any cars coming, as it is quite possible that there are not. We may further assume that if there are any cars coming, that traffic is slow, or if drivers are speeding they will see us and swerve just in time to miss killing us. We could also proudly wear our blindfold and earplugs and loudly declare, “There are most definitely no cars coming and anyone who says that there are is a fool!” But who would actually take such a risk? David: So it's actually . . . it creates a portal that they could get in through that they otherwise wouldn't have. Corey: Well, I mean, you've spoken many times about small groups of people getting together causing major effect on the larger population. Corey: Right. Well, why wouldn't it work for a negative sense as well? David: Okay. 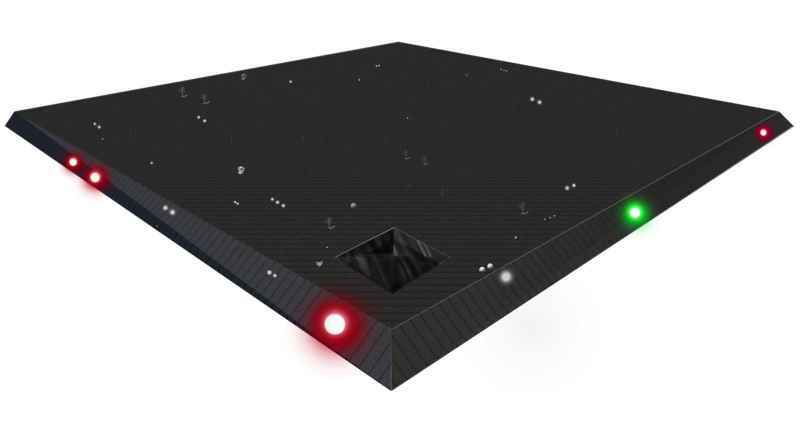 So this is one of the ways that the Orion, or the Draco, would contact individuals incarnate on Earth. And they said there was two ways. So let's keep going. Corey: So basically, they're just evil enough to where birds of a feather . . . and they come together kind of thing. Ra:... The Orion group passes on information concerning The Law of One with the orientation of service to self. David: So this is interesting, because what they're basically describing here – first of all, technological information being provided by the crusaders – wouldn't you say that lines up perfectly with Nazi Germany in the 1930s? 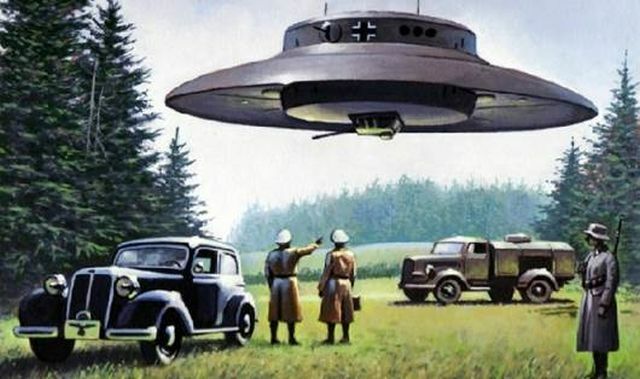 David: So actually giving the Germans the ability to perfect their flying saucer technology. You had said before that the Americans didn't have as much ease in getting these reverse engineerings to work. Corey: That's what the Germans were doing. They would have test craft. They would put all kinds of runes and glyphs all over them, do ceremonies, and couple that with the technology they were developing. David: Right. As the quote goes on, though, they start to talk about mind control systems. And let's read a little bit more before we discuss this. So they're talking about “various means of controlling and manipulating others to serve the self”. 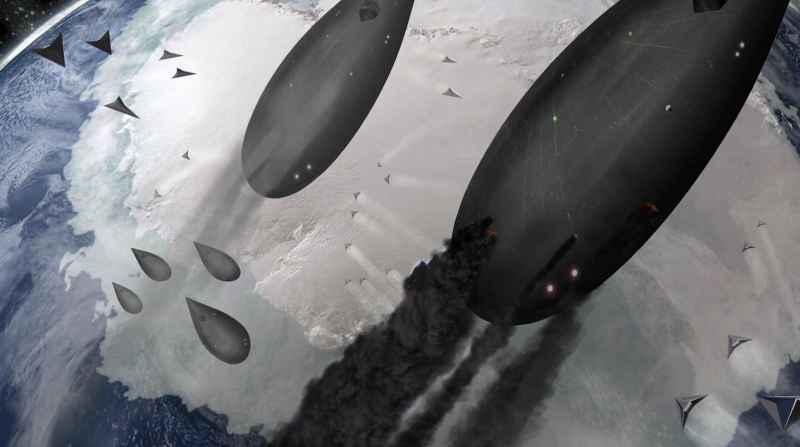 One of those would be, of course, building UFOs allows them to control the planet, to have a weapon that they could fake an alien invasion with, for example. So that's pretty interesting right there, the idea that this really messy, dangerous power source was partly given to us by negatives because it would cause a lot of damage if it was used. Corey: Right. And what I've heard is a lot of the Reptilian vessels use a dirty type of power plant. Corey: Yeah. It doesn't affect them, the radiation, but human beings would not be able to last in those craft very long. David: Well, and you're also familiar, I'm sure, with how American power plants use so much of this heavy water, and they leave the waste products stored in these giant tanks. And there's been a plan to try to hit the fault line going through the middle of America, and they put all of these power plants along the fault line, and create a big disaster that way, but the positive beings have stopped this from happening. But it's interesting here, because look at what they're telling us. The initial wave of people that make these breakthroughs that are used by the negative, the initial wave is positive. So they're protected. Their free will is protected. They're allowed to make these huge breakthroughs. Corey: That is no different than what occurs in the military-industrial complex today. Many of these engineers and physicists, all the different scientists, feel like they are saving the world. They feel like they're doing a very good thing. Corey: And they put in the work. And, of course, above them, there's no need to know what happens after that, so they have no idea what's going on. One of the most difficult aspects of changing institutions such as science and government for the better, it seems, is not so much in the actual application of new and healthy policy, or distributing helpful resources to replace the unhealthy provisions of the past. The most difficult aspect of the change is convincing the lower-level workers of the organization (as well as the general population) that they initial standards were wrong. When an individual or group serves an unjust cause, they are typically inundated with so much propaganda that it becomes difficult for them to know what is truly happening. Without discernment, people can easily be convinced that what they are doing is right and ethical. They may believe the propaganda they constantly receive is gospel truth and would refuse to believe anything else. The ability of malevolent people to rationalize their own crimes can be quite impressive at times. If the followers of such people are blindly agreeable, they can be convinced of doing almost anything for the sake of supported their chosen leader. Under these conditions, it is not actually necessary for people to commit evil themselves, but if the people simply stop paying attention to what is happening around them, there is no limit to the evil that can be enabled by their apathy. This is typically the goal of propaganda. Today we have somewhat of a different situation, as the tool of propaganda has actually been used as a weapon against one of the symptoms of major personal problems in the United States. No matter how we may view Donald Trump, we may all agree that he is a symptom of our collective problems as a country. As we have heard, the Universe reflects our own identity back to us through our surroundings. What better way to represent the reality of a country than by the person they elect to lead them? Though his election may have been advantageous to positive progress to outing the Cabal, he himself may serve as a reminder that we all have plenty to change within ourselves. Propaganda has been turned around and a questionable party is being blamed not only for his own poor judgment but for the crimes of the Cabal that is on the way out. The people believe that because the media is claiming that they know who the bad-guy is, the media must be telling the truth. The problem is that many people never stopped following the propaganda and still depend upon the catered reality of the unseen establishment. The only ways an individual can truly awaken is either on their own or in a distortion-free environment. It has been somewhat difficult for us to clear out the entirety of the Cabal distortion, but progress is being made. David: So, again, you could speculate about who this is, but we don't really know. 11.25 Questioner: Then I assume you can't name him. David: Yeah. Because it's a chariot of war. David: This gets interesting, because the Dark Fleet stuff you've told us? It's amazing how much correlation there is here. Wait till you see this, dude. Ra:... The term chariot is a term used in warfare among your peoples. David: I've been waiting for so long to see your live reaction as we do this. Corey: Sounds very familiar to some of the art and descriptions that I've given. David: So they're elongated ovals just like it says here. David: Right. And I did not actually see this in The Law of One until originally it was April 2016, after you'd already made that graphic. And then I wanted to do some of these episodes. And I was shocked because it's one thing to kind of get loose connections. But when you have The Law of one, as we've said in previous episodes, describing our government having bases on the Moon, that they're in the process of being rebuilt and expanded, bases that move along the surface of the Earth, bases under the sea – there's so many correlations with the things that you've said that nobody was talking about in UFOlogy back in 1981. And here's another example. It's totally amazing. David: I'm curious, what are your feelings on that? Corey: That definitely describes some of the craft. 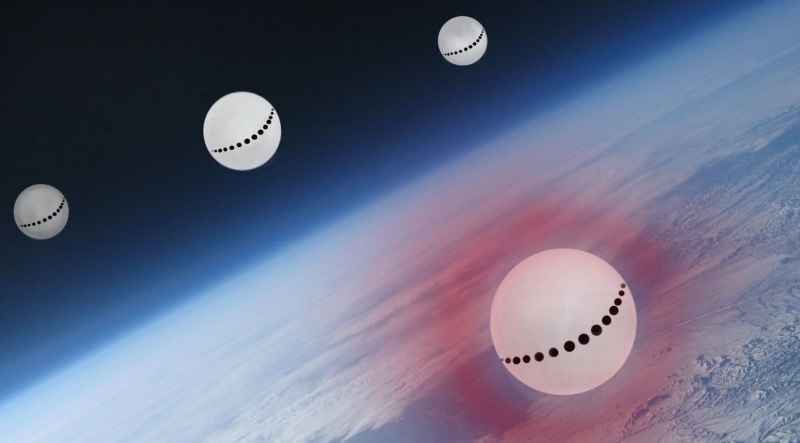 I haven't heard it mentioned directly in correlation with just the Reptilians, but even the cosmonaut-type spheres that were over Antarctica during that time observing, when they're inside the atmosphere moving around, they have kind of an orangeish-red corona. David: So this perfectly fits once again. Well, there's another type. Corey: Well, and also, they have what look like metallic craft. And there would be rooms inside, and with electric stimulation they would change shape. They'd go into balls, they would flatten out, and then the rooms on the inside would move around . . . So as far as like a 12-foot disk, is that one of the sizes that you've seen? David: And it says right here, boxlike shape 40-feet to a side. So again, very, very nice lineup here. It's amazing. So now they're going to talk about that . . .
David: Meaning it's not just one type of extraterrestrial race. Corey: Well, yeah. That matches the conquered race that I've told you about that a lot of people confuse with Nordics. Corey: They're like eight foot tall. They have the taller foreheads, receding hairline kind of a thing, kind of the same bob haircuts, blonde hair, big blue eyes, six fingers. Corey: And the intel on them is that they're a conquered race, just like we supposedly are. And just like we have Dark Fleet going out with the Reptilians on conquests, that's what these beings are doing. Corey: They're the ones that we've seen a lot in conflicts. So, yeah, they'll send those beings in as cannon fodder a lot of the time. Corey: Absolutely, yes. Yeah, I mean, there have been many accounts of people going to some of these bases where there are Reptilians, or these Nordic-type groups that I've told you about that are walking around with these big pelican cases that hold equipment, levitated, floating behind them as they walk along. David: In other words, the Draco, even if they have people working with them, they don't necessarily want to give them that much technology. Now they talk about the Quarantine. This is an interesting discussion we've had many discussions about. David: Of course, now with the Spheres and the Outer Barrier, it's gotten much more. Ra:... Every effort is made to quarantine this planet. David: So this is something that I've heard from several other insiders, and I definitely wanted to get your take on it in these Law of One episodes. Corey: And that included the groups that were here that couldn't care less about us, that were just here to study the rainforests or the ocean life. 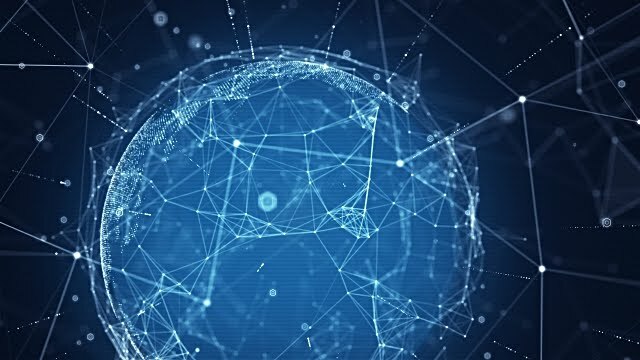 David: And I also have heard from other insiders that the Quarantine actually does involve, to some degree, physical microsatellites in Earth's orbit that enforce this protective grid in some way. Have you heard something like that, that there are . . . ? David: Okay. That's the same thing I heard from others. 12.5 Questioner: I didn't quite understand. How does the Confederation stop the Orion chariot from coming through the quarantine? Ra:... There is contact at the level of light-form or lightbody-being depending upon the vibratory level of the guardian. David: So what they're actually saying here is a light-form might be like a wall of light. It might appear as a craft. Lightbody-being may actually be some sort of apparition. But what it's saying is that a lot of these entities would try to get in, and they're going to run into something that would stop them. These guardians sweep [the] reaches of your Earth's energy fields attempting to be aware of any entities approaching. David: Now, this is all very nebulous, so we're going to keep reading because it'll all make sense in a second. Ra:... To not obey quarantine after being hailed on the level of which we speak would be equivalent to your not stopping upon walking into a solid brick wall. David: So anyway, it's describing a solid energetic barrier, something that you just can't go through it no matter what. Ra:... The Creator is one being. David: So that . . . I highlighted “love/light net”, because it is apparently some kind of grid-like mesh of light that they just can't get through if they're trying to get in other than the normal way to get into the planet. The only beings who are able to penetrate the quarantine are those who discover windows or distortions in the space/time continua surrounding your planet's energy fields. David: So this is something that's allowed to happen by our own free will. Ra:... You must plumb the depths of fourth-density negative understanding. David: So we're seeing they're setting us up here for something interesting. David: Dude, this is the Galactic Slave Trade. They are describing exactly what you've been telling us right here in The Law of One, that they may plunder as they will. The people who are plundered do not necessarily have to be consciously calling the Orion group. So I know that when you've talked about the Galactic Slave Trade, it would appear that just anybody could get picked, and that's going to freak a lot of people out. And that's how having a large piece of the human trade business came about. The point which Corey made about the way that humanity is initiated into slavery with these negative beings is via these blood sacrifices. As I understand it, when one human acquiesces to the suggestions of these negative Draco, the human ends up entangling not only themselves into the agreement, but can potentially make the entirety of humanity liable for alleviating the karma associated with the sacrifice ritual. In past episodes, it was discussed that the beings that exist at higher densities do not see humanity as a group of individuals. They see us as one singular, planetary being with a sort of identity complex. We don't remember the fact, but we are actually one being and when one aspect of that being (a person) authorizes servitude of any type to an outside force, the entirety of humanity can also be ensnared in that same servitude (depending upon the actions of the original individual). This is said to be why we have the task of freeing ourselves from the Draco/Crusaders. It is because for thousands of years, the human race has been bouncing between being ensnared, freed and then re-subjected to slavery by negative ETs. This is where we find ourselves today, and is the reason why we are fighting to throw off the bonds of slavery once and for all. David: So they believe that they are the elite, they are the special, and that they love themselves, and that other people do not love themselves as much as they do. Therefore, they've become god where none exists and everybody else should worship them. David: That's just like what you were saying. The elite pass this down to everyone else. David: Now, do these people believe in their own form of Ascension, just like it's saying here, that they're going to ascend? David: Right. But there's others that would actually believe in a sort of spiritual Ascension, as well? We have heard that when the negative beings give instruction, they do so only partially. As the passage seems to state, this training is given without emphasis on the necessary steps to ensure the health and well-being of the individuals receiving the instruction. To add, this training sounds as though it is given to people who are not adequately prepared to receive it. This could lead to trainees having power, but lacking the discipline and wisdom to use that power responsibly. Whenever we receive higher knowledge, it is imperative that we learn the most healthy and productive way to apply that knowledge so that we can have a somewhat predictable and beneficial outcome. If we do not, we become like children who found their parent's gun unlocked and with the safety off. There is no telling what damage we may do without the discipline and skill to wield the power we possess. This is one major reason why the resources such as the Law of One are so extensive and complex. It is because there is so much to learn for our benefit. Yet even still, the text does not hold the entire lesson within it. If I understand correctly, the lessons within the text evolve as the reader internalizes the material. So to some degree, the reader creates their own individual application of the knowledge as they develop. This is the life-honoring and the self-honoring way by which accurate truth is imparted, in my perspective. David: All right. Well, since we've talked about some pretty disturbing stuff in this episode and we're out of time, I mean, The Law of One does say – and I want to point this out – they make it very clear in here that the negative is never allowed to do more than what is required to awaken humanity, that by having this great villain in the planetary game, we become . . . our hearts open up and we realize that there is a reason to want to be more loving, there's a reason to want to be more positive, there's a reason to want to save the Earth, to protect the animals, to seek truth and justice and freedom and liberty. Corey: Their complete devotion to self. You know, they're . . .
David: So it's sort of like a computer, where you would have the CPU fighting with the memory fighting with the hard drive. You can't have a functional system when it's constantly betraying itself. Corey: Right. Another thing this topic brings to mind . . . I hear people all the time saying, why won't the Blue Avians come down here and just squash the Reptilians? Why don't they just take an active role? The creation of The Law of One book was to be a guide, and most of all, to stimulate our consciousness. That is pretty much all they're concerned about, is stimulating and raising our consciousness. If they can do that, we take care of the problem ourself and they don't have to get involved. Corey: Absolutely. The one thing that they've tried to drill into my head is that we are our own saviors. We are the ones that have to clean up this mess. They will mitigate some of the problems that we have to overcome, but we have to do all the work. And I think we're beginning to see a change in society and things occurring in the background to where we might be on the precipice of those changes. David: Cool. All right, well you've seen it here, a lot of really great Law of One connections to what Corey is saying. As a scientifically-minded person who's written scientific books, when I look at this type of data, it's absolutely convincing to me this is not the product of coincidence or chance. This is two different sources that are talking about the same body of true information. It's the only logical explanation. I'm David Wilcock. This is “Cosmic Disclosure” here with Corey Goode, and I thank you for watching. It seems that one of the main reasons why many people still desire to be saved by someone else is that these people still do not realize their true potential. For our entire lives, we have been taught that we are lowly dependent servants of higher authority, and that we must beg for what we need to survive. This begging does not come in the form of actual begging. It comes in the form of paying taxes and standing in line at the DMV to pay the state to use our own property. (Registration does not pay for roads, by the way. Taxes and tolls do that.) It comes in the form of needing a higher authority if we want to get anything done in life. If we want a house, we have to go through a bank. If we want to earn a decent wage, we need a university or an inside connection to a prestigious company, and if we want emotional validation and a sense of worth, we need orthodox religion. Whatever our desire in life, the system is set up so that we feel compelled to toss our power away to the nearest corporate poser just to feel valuable. However, we do not at all need someone else for validation or any fictitious authority to have what we need. The only reason these false authorities exit is because we have allowed them to. The fact is that they need our power to survive, not the other way around. Without us, they and all of their fictitious wealth would crumble to pieces. We are the engine that runs this entire game. It is our power alone that validates us, and at any point we have the power the grind this illusion of a matrix to a screeching halt. When we put our minds to it, there is nothing we cannot achieve, and when those minds come together, watch out. The truth seems to be that the secret weapon we have been looking for all of this time is Us. We are the human perfection waiting to be realized. The connection between each of us is what has pulled us through so much, and when we choose to work together to achieve freedom, we will be shocked at how quickly that freedom manifests. This is why the benevolent ETs don't come down and save us. We never needed them to. All we need to do is wake up.